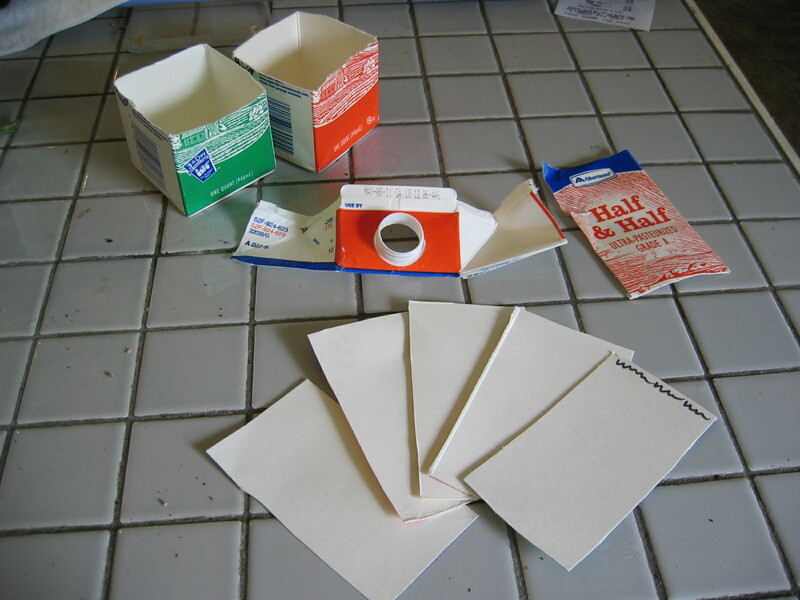 Recycling cardboard Milk cartons for Gardeners. Recently we have been heavily involved with composting. Now we have only plastic wrappers/bags in our regular trash. 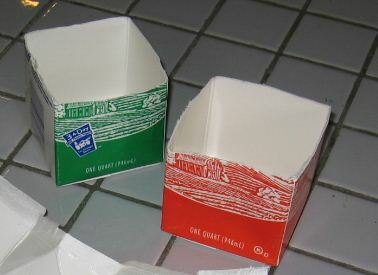 The only thing we could not compost was cardboard milk cartons. After some research we found some milk cartons are covered in wax and can be compost after being shredded but others are poly coated, a plastic covering, these cannot be composted. The problem is not knowing what type of water proofing has been used. After some thought I came up with an alternative use for the carton. Now spring has arrived we have begun planting vegetables to eat, not to save money, but for the benefit and flavor of fresh produce. Some of the seeds needed to be pre-germinated in a small pot before re-planting in the garden. I was using small water dixie type cups with drain hole punched in the bottom. This is when I came up with the idea to cut off the bottom of a milk carton and use it as a temporary planter box to be discarded when finished. Also the upper unused part of the carton cut up as strips to label the planting rows. The backside of the strip is white, waterproof and can be written on with a magic marker. Leave comments and/or ideas for the Garden. This entry was posted in Hobbies and tagged Garden, recycle, seeds. Bookmark the permalink.